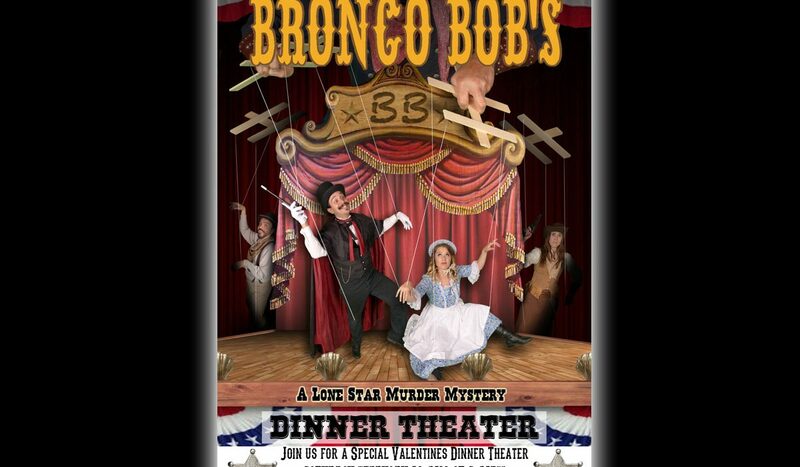 DURANT – Bronco Bob is comin’ to town. Will he make it out alive? The Donald W. Reynolds Library is hosting a murder mystery again this year at its annual dinner theater. This is the fifth season for this fundraiser and library director Robbee Tonubee said this event is the biggest fundraiser hosted each year. “It’s done by Lagniappe Productions from around Frisco, Texas,” Tonubbee said. “They absolutely love coming here and we treat them like rock stars. It’s an interactive show and the audience interacts as much as they would like with the actors. You’ll get a very nice high-end, catered, sit-down meal from Bon Appetit Y’all in Sherman. “Dinner starts at 6:30 and the show starts at 7:00. And while you’re finishing up dinner, the cast comes and mingles. It’s always some kind of a Western theme. This year it’s called Bronco Bob’s. Tickets can be purchased at the front desk of the library. Tonubbee stressed the importance of fundraisers like this to assist the Friends of the Library. “Price’s Printing is always good to us. They print the playbills for free and they’ll get a full-page ad in it. It is supported by the community, so people in the business area buy ad space. But the tickets pay for the dinner and help the Friends of the Library raise money. This is probably our biggest single fundraiser of the year. 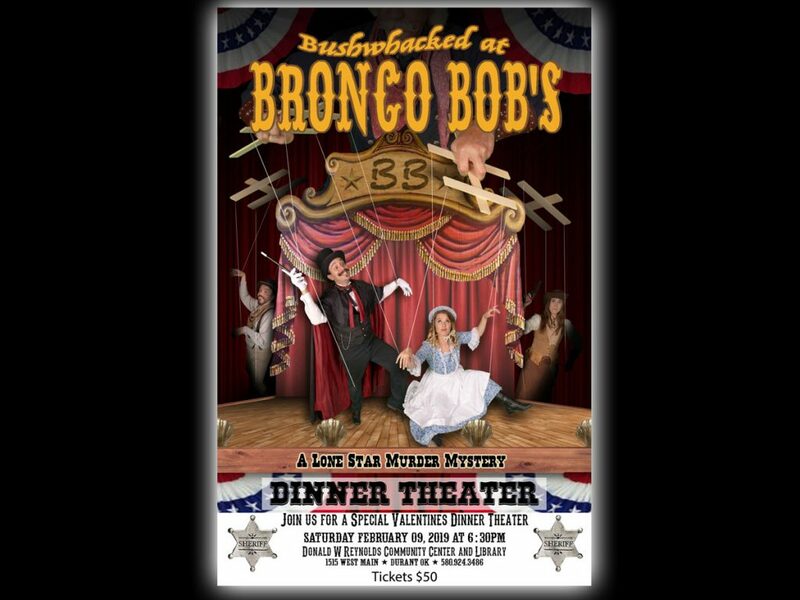 So a nice and fun evening this weekend, consider trying to solve a mystery while enjoying a great meal.